One of the largest publicly funded award programmes for artists in the UK, the London Artists' Film and Video Awards (LAFVA) scheme offered awards of up to £20,000 for production of artists' moving image work. Awards were available to London-based artists working in the context of contemporary moving image practice - producing work intended for exhibition in galleries, festivals, specialist venues and as site specific installations. From 2000 to 2008 the scheme supported a wide range of artists, including: William Raban, Georgina Starr, Kutlug Ataman, Miranda Pennell, Mark Lewis, Jane and Louise Wilson, Ben Rivers, Marine Hugonnier, Zarina Bhimji, Daria Martin, Hannah Collins, Graham Gussin, Andrew Kötting, Shezad Dawood and Brad Butler & Karen Mirza. 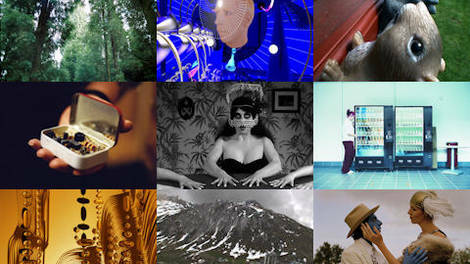 LAFVA films have screened and been exhibited across the UK and internationally, winning prizes, awards and recognition. Further information, including streamed clips, on all of the films supported through LAFVA can be found via the FLAMIN Showcase.